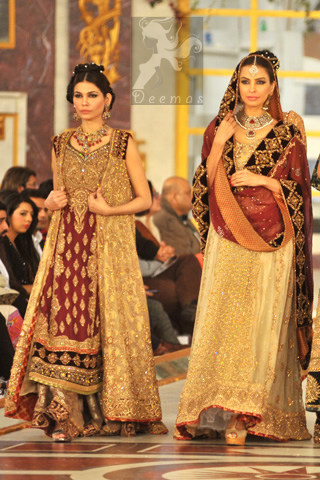 Tags: A-line, Back Trail, Fawn, Front Open, Gown, Reception & First Day, Sharara. Fawn front open gown with deep red inner shirt. Inner shirt has been adorned with embellished bodice, border on front and back hemline. 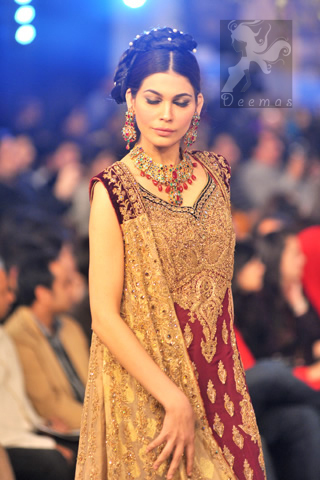 Fawn front open back trail gown with maroon a-line shirt and sharara. 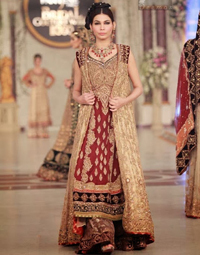 Fully embroidered gown. Inner shirt has been adorned with embellished bodice, border on front and back hemline. 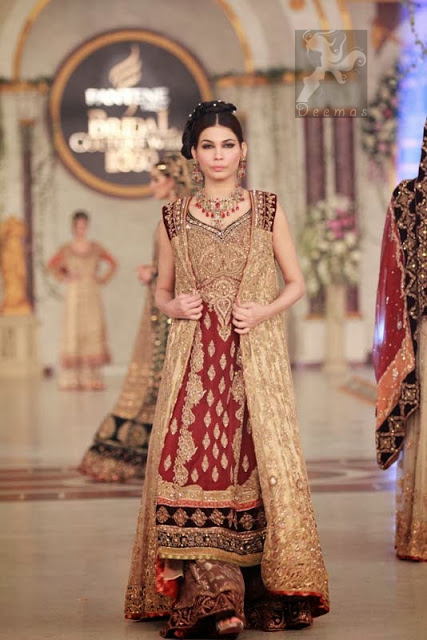 Fawn banarsi chiffon sharara with embellished border all around the bottom. Macting dupatta finished with banarsi pipings.